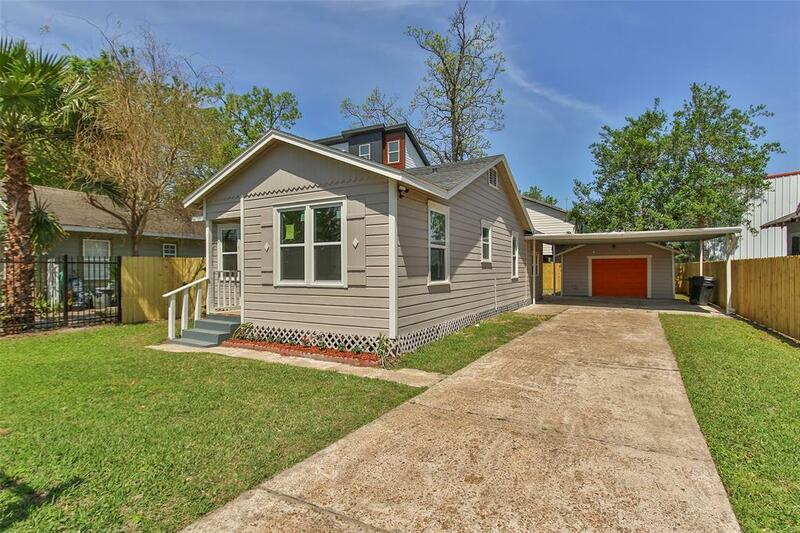 Welcome home to your new bungalow in the heights within walking distance to new Farmers Market. 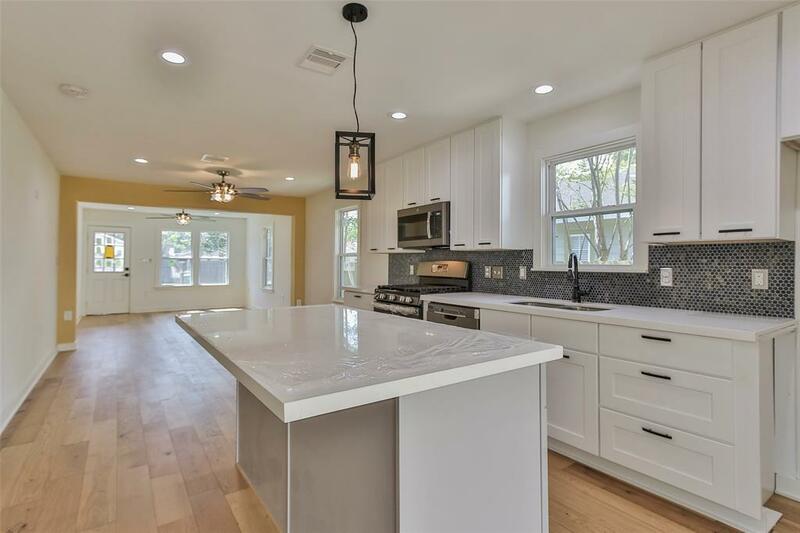 This home has been completely remodeled from the studs up with new systems, fixtures and finishes around every corner. Entering the home you will walk into a large living room that is open to the dining an kitchen space. Hardwood flooring runs throughout the entire living space and bedrooms while custom tile flooring was laid in the bathrooms and utility room. 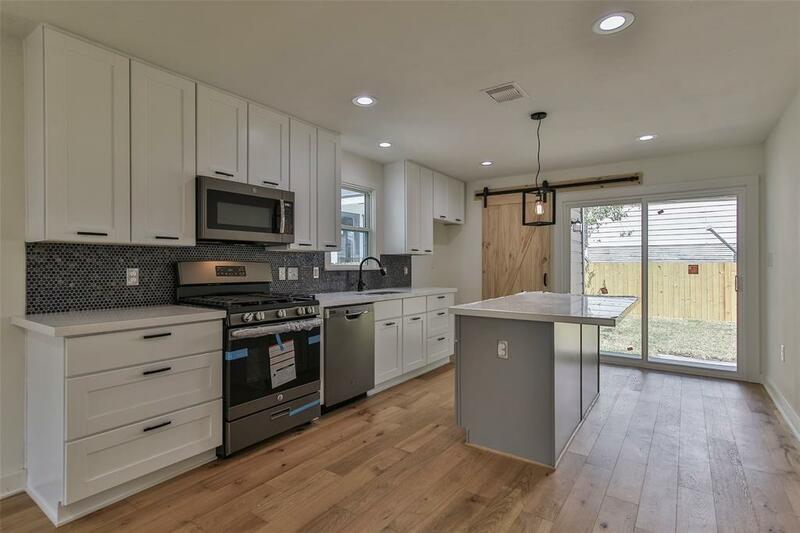 The kitchen features a large island with light pendant, quartz counter tops with modern backsplash, new cabinetry, modern hardware and SS appliance package. The master bedroom is large with new lighting and ceiling fan with remote. The beautifully remodeled master bath has a new vanity, toilet and custom tile shower surround. The second bath is just as stunning! In addition the electrical, HVAC/insulation and plumbing systems have all been upgraded. In addition, quality double pane windows and LED lighting were also added. Call today! 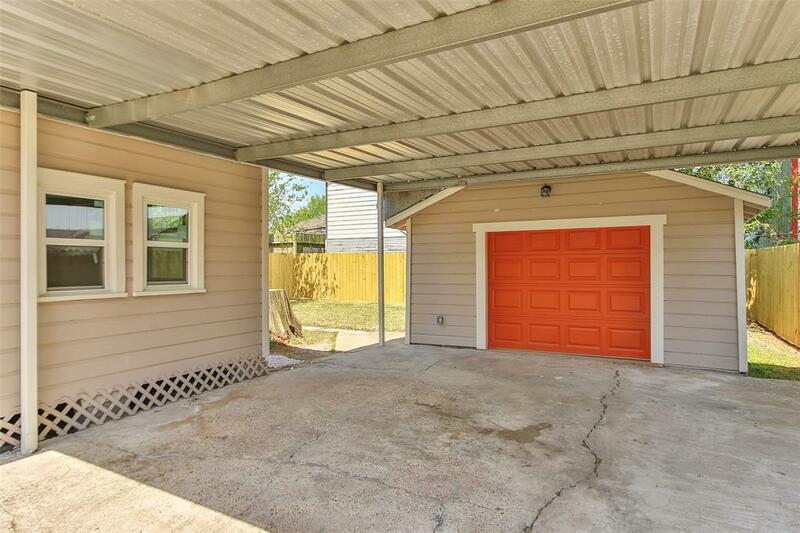 Listing courtesy of Networth Realty Of Houston Llc.